This is a story of radical hope. Yuvi’s Candy Tree (Kar-Ben Books 2011) is a children’s picture book written by Canadian writer Lesley Simpson. The book was inspired by Yuvi Tashome, who as a five year old girl, outwitted robbers in her exodus from Ethiopia to a Sudanese refugee camp. The book grew out of an interview Simpson, a Canadian journalist and children’s book writer (lesleysimpson.ca) requested with Yuvi Tashome when she was in North America in 2009, raising awareness and money for the NGO she founded in Israel called Friends by Nature. When Simpson heard Tashome describe her Biblical-like exodus, it felt to her as if the Haggadah was coming alive before her eyes. She imagined a picture book and then wrote Yuvi’s Candy Tree. Simpson was delighted when the book won the Canadian Jewish Book Award for youth in 2012, and delighted when the PJ Library in the United States chose the book in 2017 for children aged 8 and up in April as a contemporary Exodus story but her dream was to have the book in Hebrew. She wanted the book to be available in Hebrew because she wanted to honour a remarkable chapter in Jewish history. 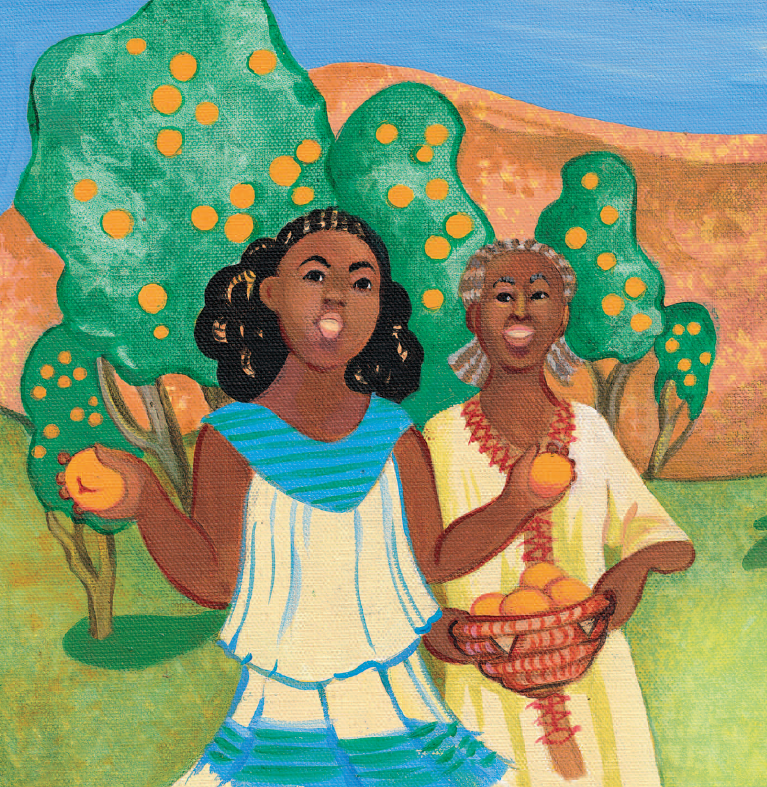 She wanted the book to be in Hebrew because she wanted to the story to live in Israel. She collected many rejections from Israeli publishers. Then a door opened, and in 2018 the book has just been released in Hebrew this month with Agam Publishing. What has been remarkable is the response: President Rivlin recommended the book on his Facebook page. A lawyer in Herzliyah Liora Kvora started a campaign to get the book into libraries in Israel because she saw the book as a story about aliyah for all Israelis. She promised to donate money to make the idea a reality. Kvora read the book as a feminist story because the story is told through a conversation between Yuvi Tashome and her grandmother. A Kickstarter campaign online exceeded its goal. 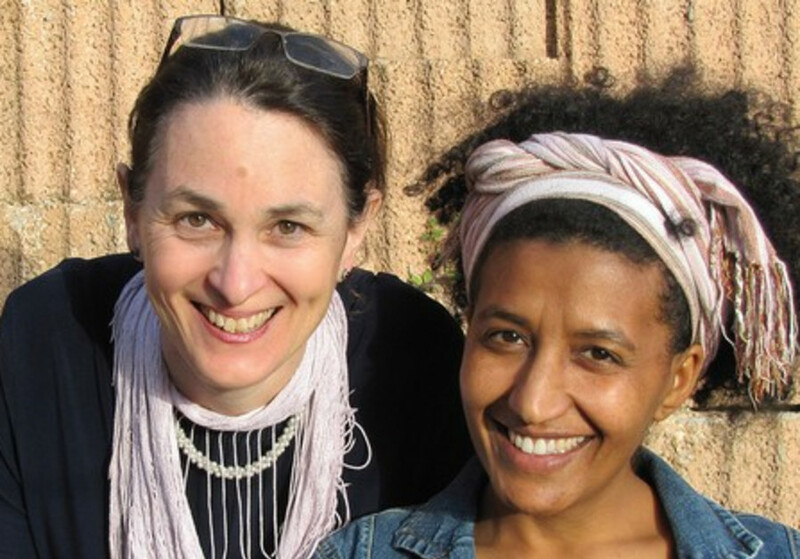 The launch of the book at Ranana College featured the black and white photographs of Dafna Yosha (on display until the end of the month), a collection of Ethopian women working on farms as part of a program of Tashome’s NGO, Friends by Nature. The book was featured online recently as number four on a bestseller list in Israel. Yuvi’s Candy Tree is coming out during a time with other stories of the exodus including the remarkable story of the fake resort run by Mossad agents in the Sudan. 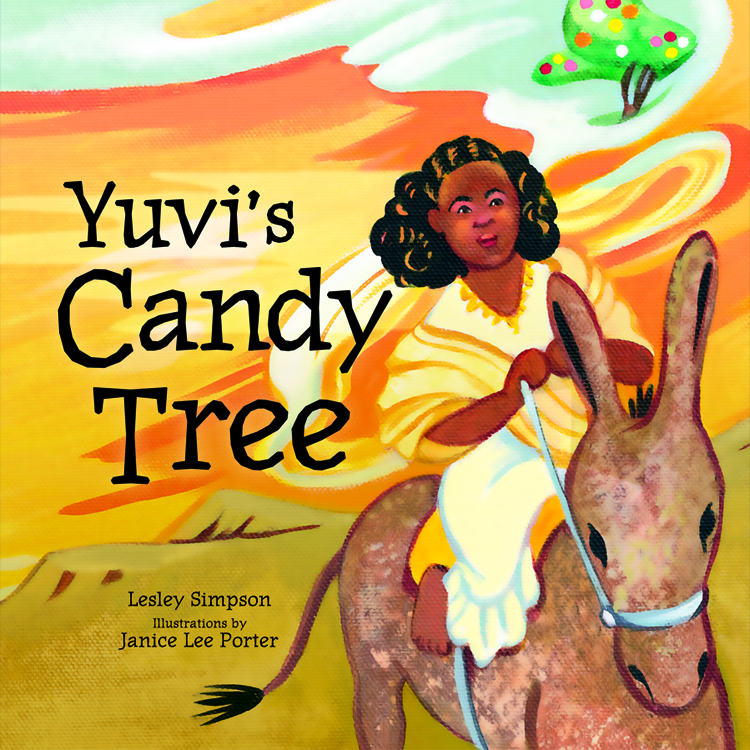 Read the speech (in English) that writer Lesley Simpson delivered in Ranana, Israel to celebrate the Hebrew translation of Yuvi’s Candy Tree. Learn more and get your own copy of Yuvi's Candy Tree.